The Gulf of Thailand has a lot of underwater hidden beauties and you can discover some of them in Koh Chang. Snorkellers or divers, amateurs or professionals, everybody will have fun and will be able to enjoy the marine life. There are few places on Koh Chang where you can snorkel but you won't see so much. Choose places with rocks like Pearl beach or Chai Chet cape for example, there are more fish and sea urchins than sandy beaches like White Sand beach or Klong Prao beach. If you don't travel with your snorkelling equipment you can buy cheap ones or more advanced on the island. Some resorts even have masks, snorkels and fins for their guests. But if you really want to see more fish, and nicer molluscs and corals, then you will have to book a boat trips or a private speedboat. Unfortunately all snorkelling tour boats go to the same places, Koh Wai and Koh Rang and during the high season those places can be crowded. Most of diving centers also propose snorkelling tours but the one I really recommend is Thaifun. The crew is great, they know how to entertain their guests, the lunch buffet is fantastic, they supply all the equipment and believe me you will really enjoy your day. There are several diving centers on Koh Chang which are proposing diving courses for beginners but also diving sessions for more experienced divers. All of them have trained instructors who have their 5 Star PADI certificate. For the experimented divers, there is a 100 meters long wreck sunk in 2012 which is now attracting lots of species of fish. It's a real playground for divers and a paradise for the underwater fauna. If you are lucky you will swim with a majestic whale shark which is coming more and more often in this area. - BB Divers is the oldest dive center on the island. They have international instructors, their main office is on Bang Bao pier but they have offices everywhere on the island. BB Divers has now branches on Koh Mak and Koh Kood. - Dolphin Dive Center is managed by a Swiss team. 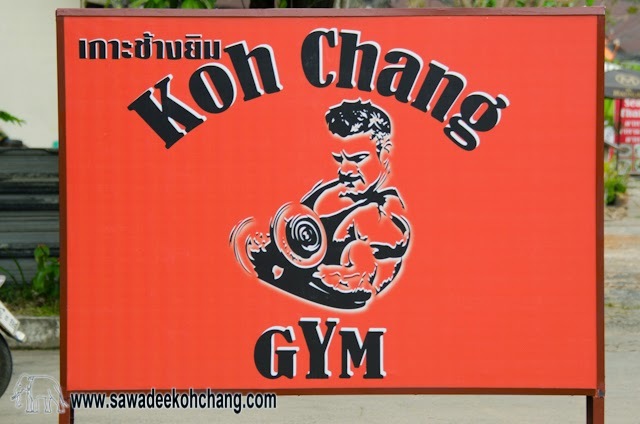 Their main office is in Klong Prao, opposite side of Chok Dee Resort but they also work in partnership with Aana Resort, KC Grande Resort and Koh Chang Lagoon Princess Resort where you can learn scuba diving. - Koh Chang Divers is based in Bang Bao and they have a long experience in recreational diving. They also propose courses for beginners and diving on the wreck surrounding by their instructors. - Scandinavian Chang Diving Center is based in Klong Prao, opposite side of Klong Prao Resort. They have a multinational and then multilingual team, proposing courses from beginners to advanced divers. - Scuba Dawgs is located on Bang Bao pier and they are known as a low cost but high quality Dive Center offering dive courses, fun diving and snorkeling from their 3 boats.